Hello peeps. Welcome to my space of happiness. I feel very relaxed whenever I am here on my blog's dashboard. 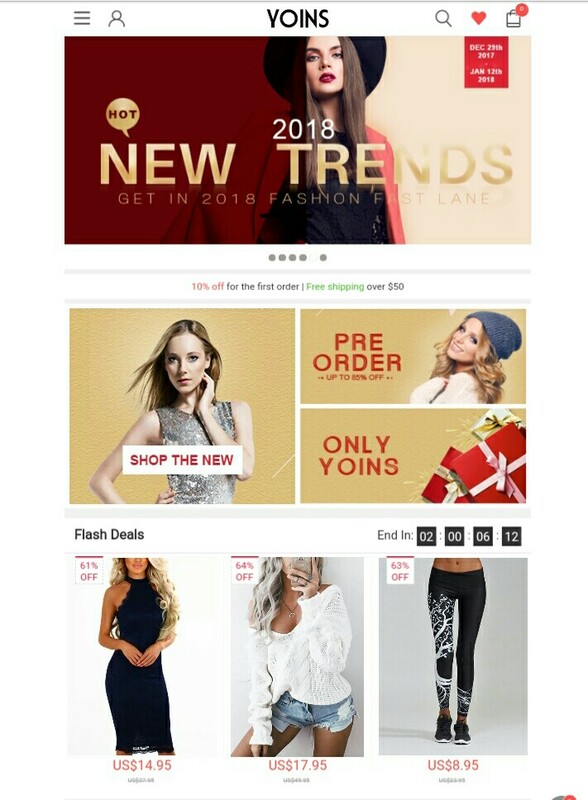 Well, today I am going share about a website called Yoins.com which a best place to explore for all fashion lovers. You can find all kinds of dresses, tops, ladies blouses, lingeries ,shoes, bags, etc.. at one place only. Few days before when I discovered this site while googling, I completely overwhelmed by seeing their awesome collection. Then thought to share with you guys about this site.. I have also selected few stuffs for my own and I will share those as well here.. First let me give you a brief description regarding the site Yoins ..
Yoins comes from the word 'inspiration' and that's what the team try to establish as well. They are trying to inspire young generation to express their feeling through fashion and to make them more confident in life.. The website has established in 2014. They are very constant in providing high quality, catwalk style, fashionable, latest trend cloths at affordable prices..
Now see, what all I have selected.. I love this cute girly top.. Black tops are always my favorite ,because it hides my flaws perfectly.. The beautiful feather design adds a nice simple yet elegant look. I love the sleeve design as well.. Excep 4th this they are wide range cute tops for women , you should check out this section.. I love this white lace top.. The detailing is just so pretty.. There are so many close up pictures of this top on website which indicates that the quality is good and the finishing is just perfect.. 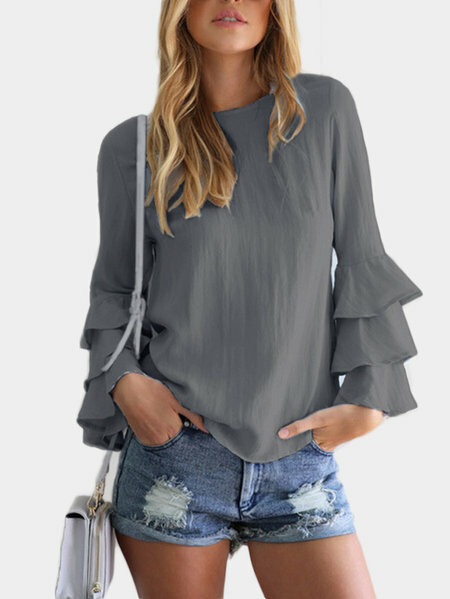 There are two colour options available as well..
Flared sleeves are in trend these days and I love this simple looking top.. The material and quality is awesome.. It will look so chic and girly I am sure..
That's all for today.. I am sure you have enjoyed through the shopping ride with me. Flared sleeves look so great. Will check this website out. Love the grey flared sleeves blouse. It so simple and chic. Will check them out. Thanks for bringing this site to my notice. Really a diverse collection of beautiful pieces. Will be checking out sure! Wow, awesome trend they have. Didn't knew of this online store much, but looking at your review, I'm sure, I'm browsing them up. They have so many varieties and great range of products. I am checking out their website to explore more options. I am always on lookout for new shopping websites. Shall check it out. That's a nice website to shop. I like that white top. Wow collection looks so amazing and beautiful need to check it. This is a new e-commerce site for me, but looks very interesting. Would definitely try and check out options.